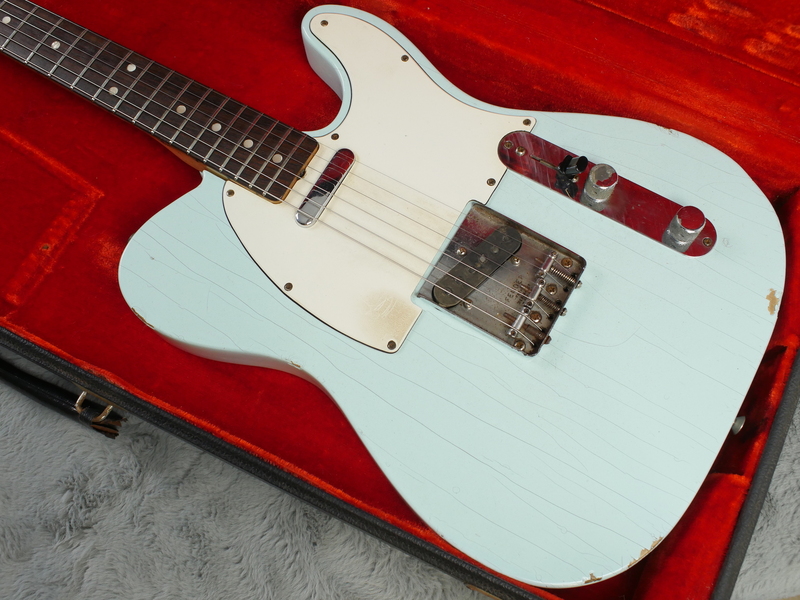 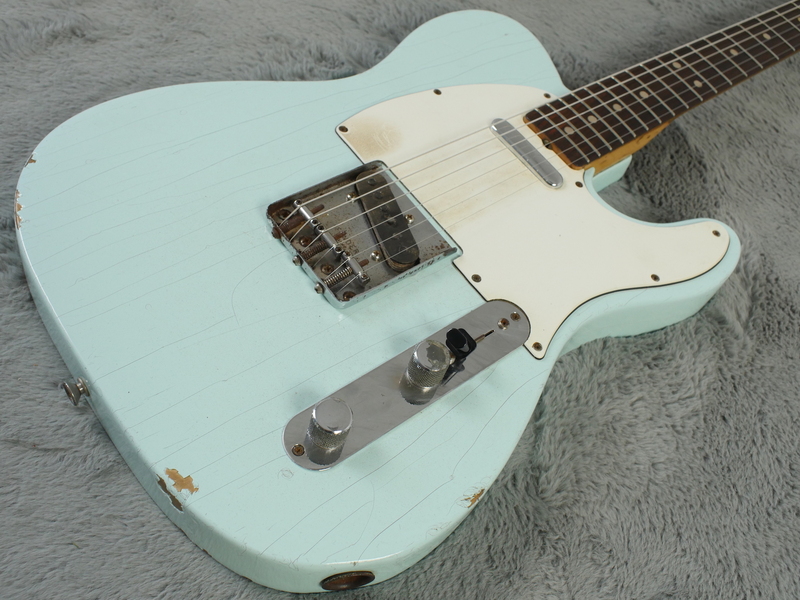 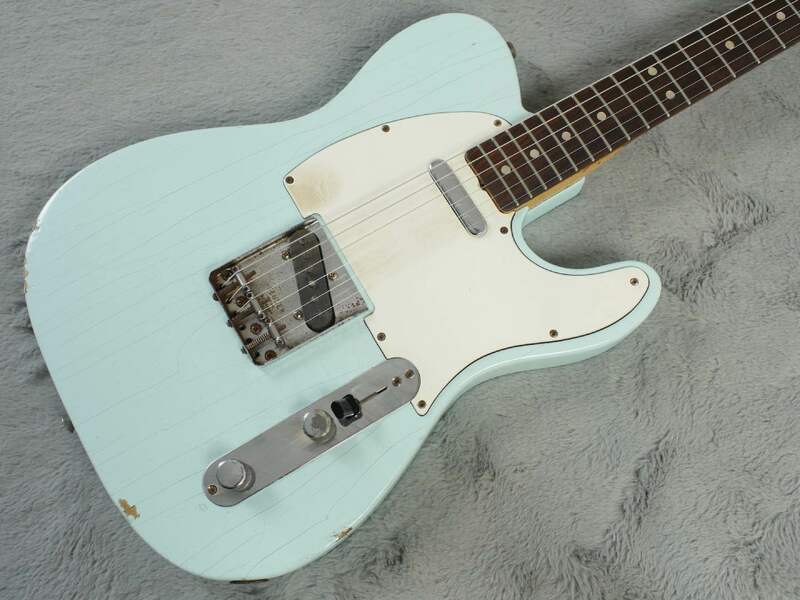 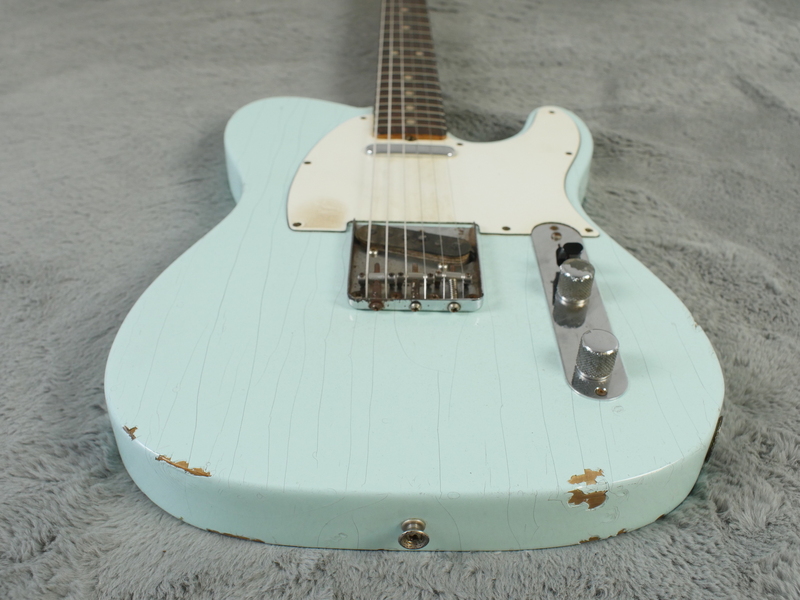 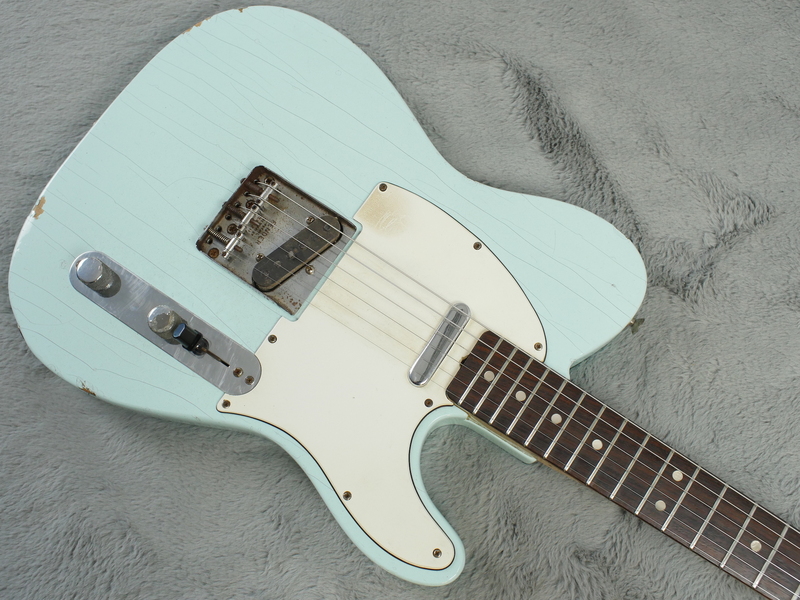 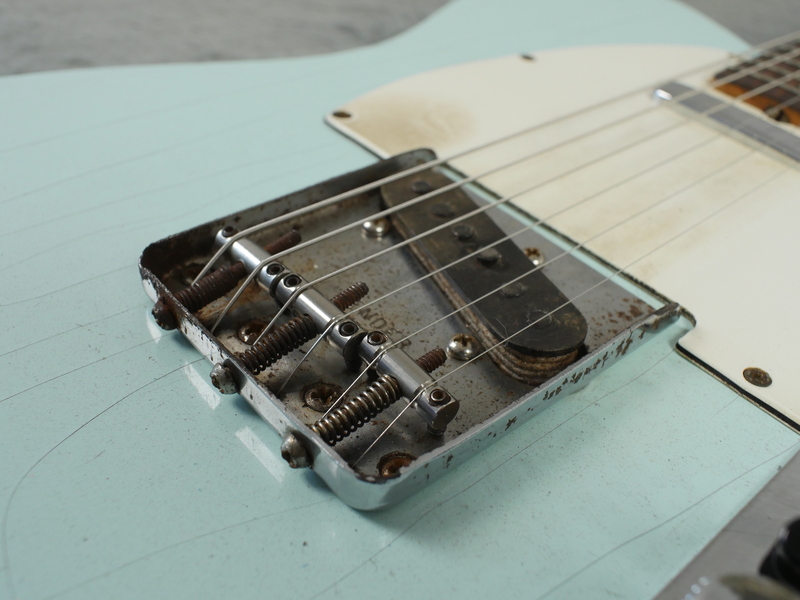 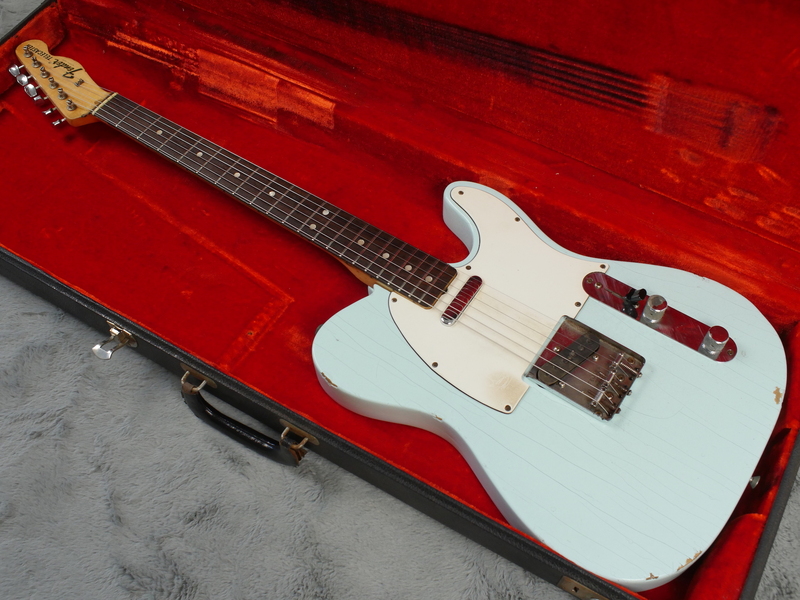 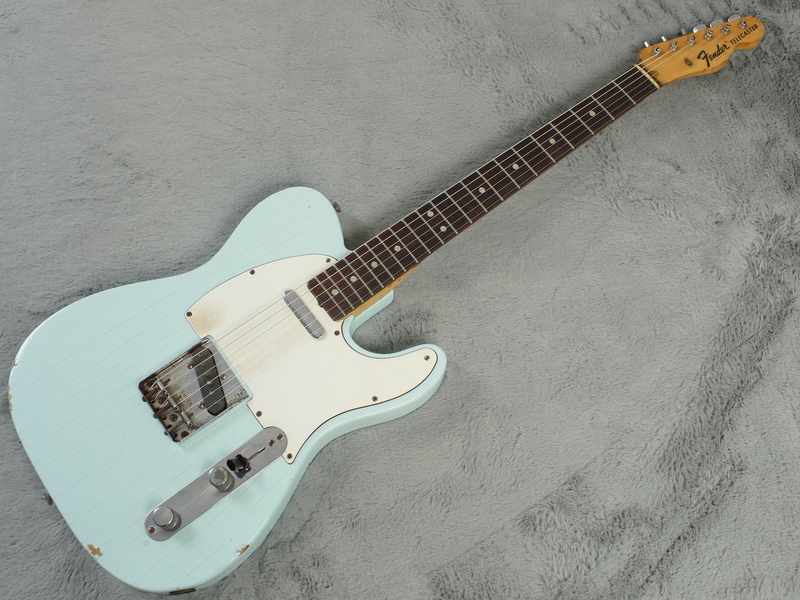 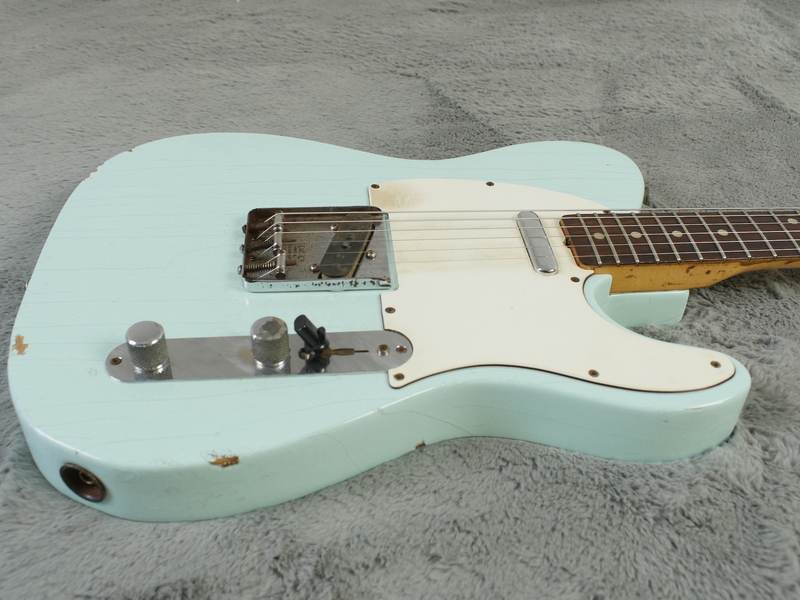 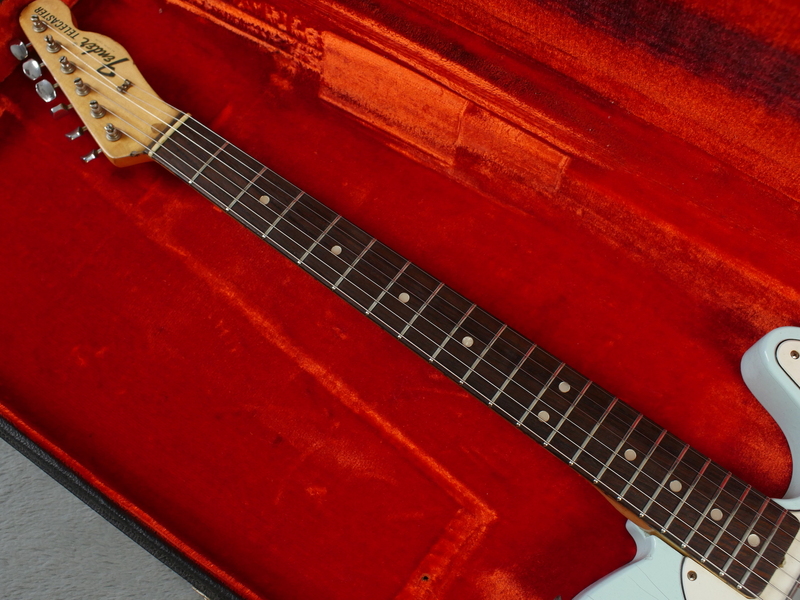 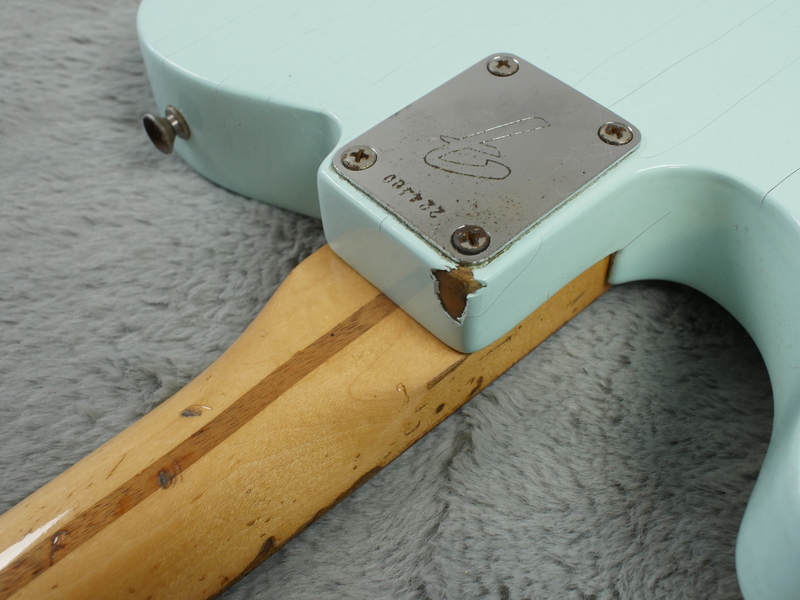 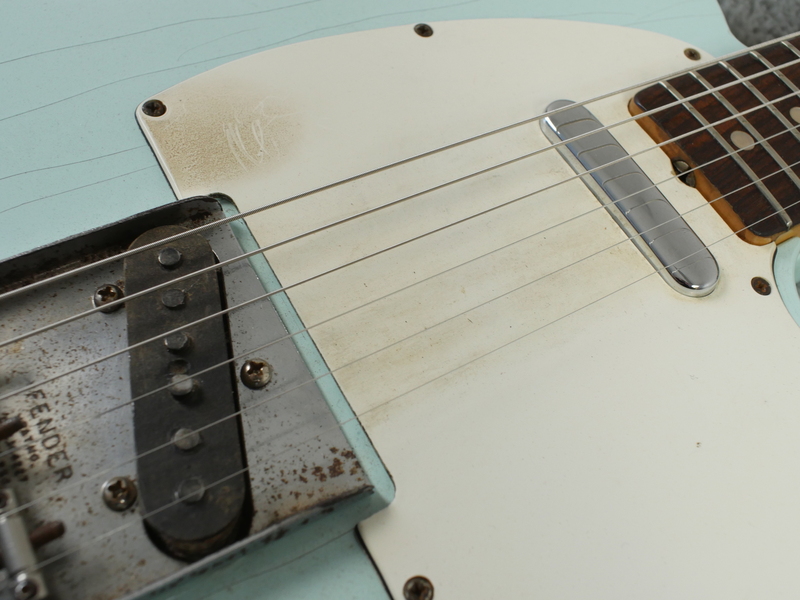 A very rare bird indeed… Here we have a late 68, early 69 Fender Telecaster in original Sonic Blue. 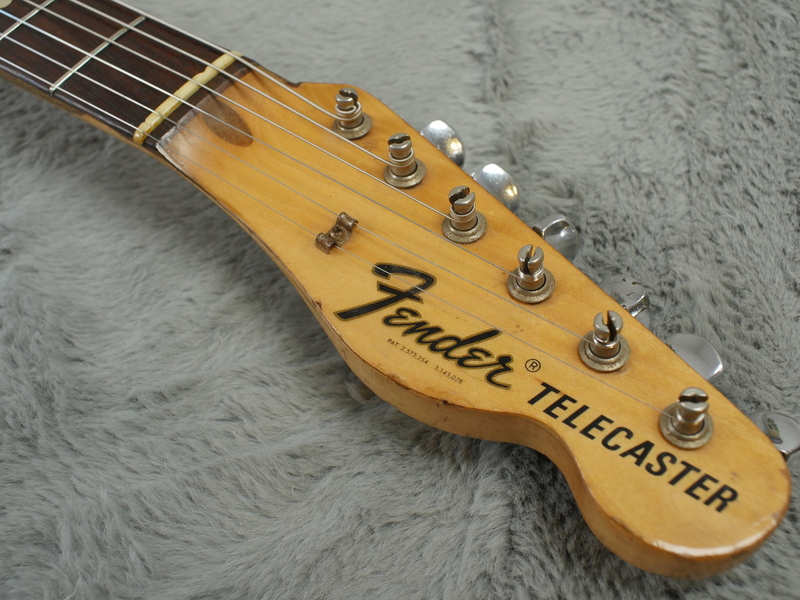 You do not see many of these around these days but anyone who follows us will know this is the sort of stuff we love…. 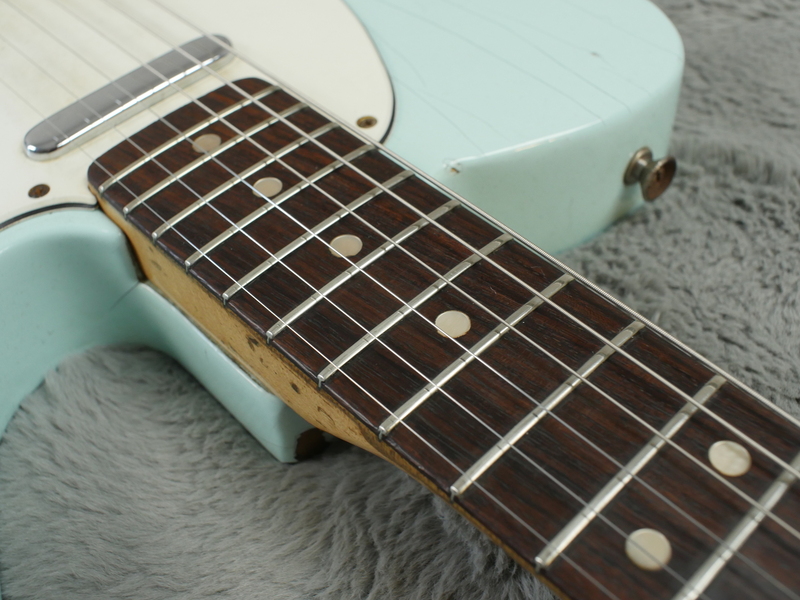 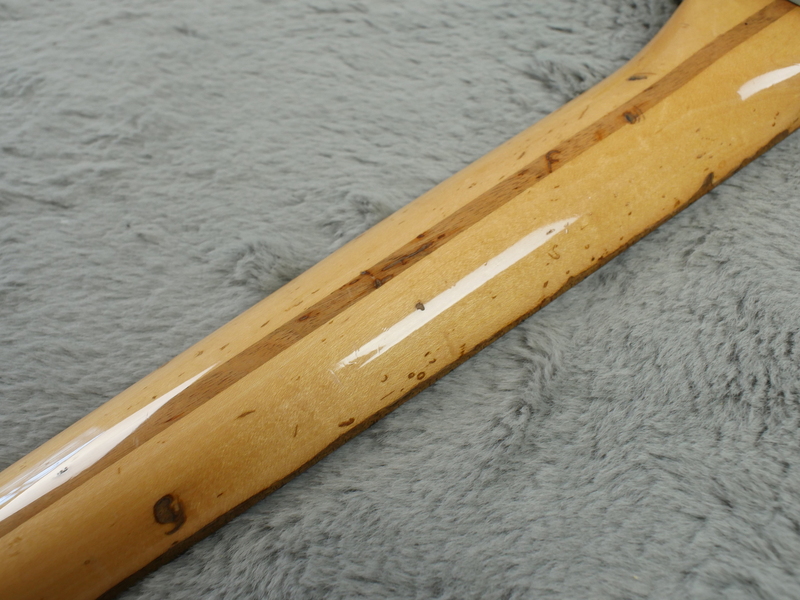 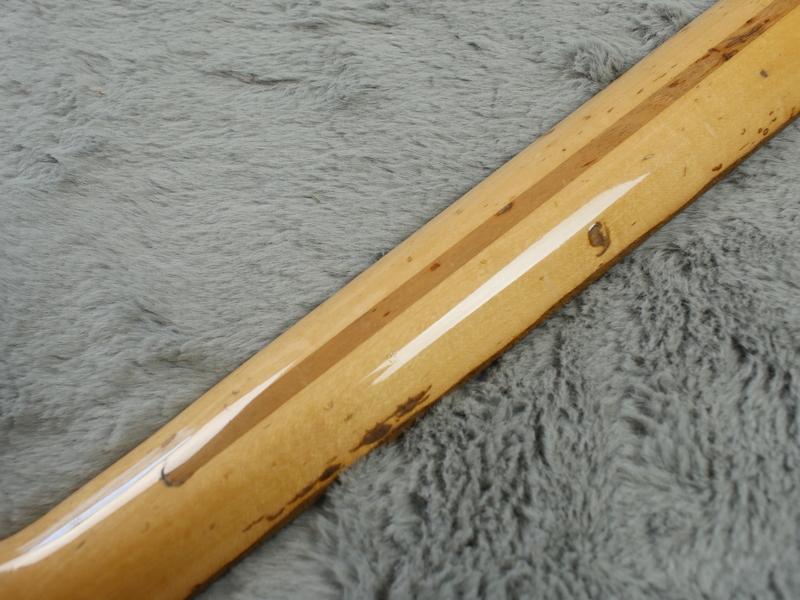 Bought recently from a UK collector this is a fine specimen of a very rare colour that has without a doubt been played and has its fair share of dings, dongs and such - have a look at the photos and you will see what we mean. 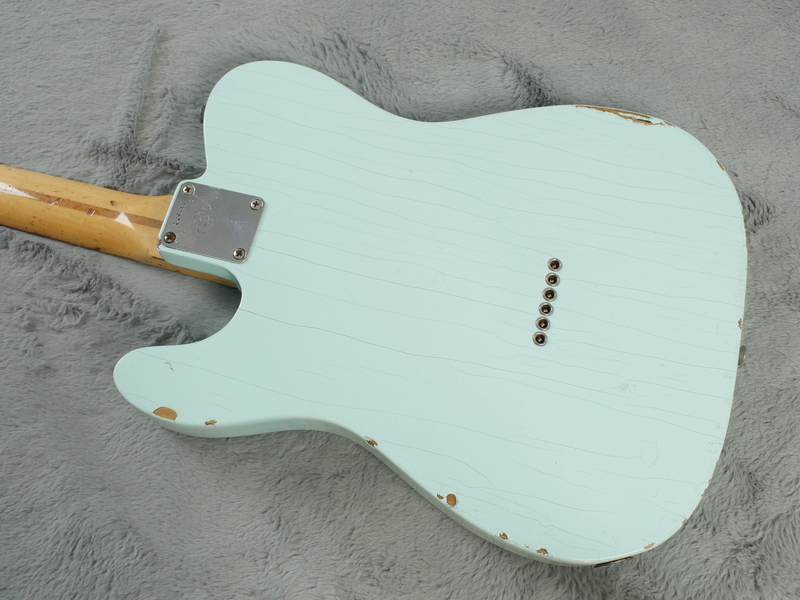 Finish is first year poly finish and as such, is checked in a different way to the nitro finishes that came before. 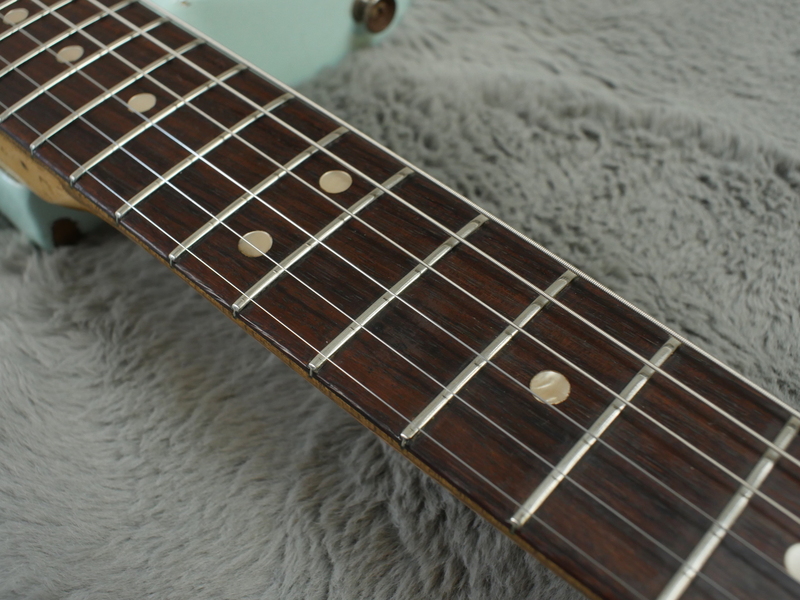 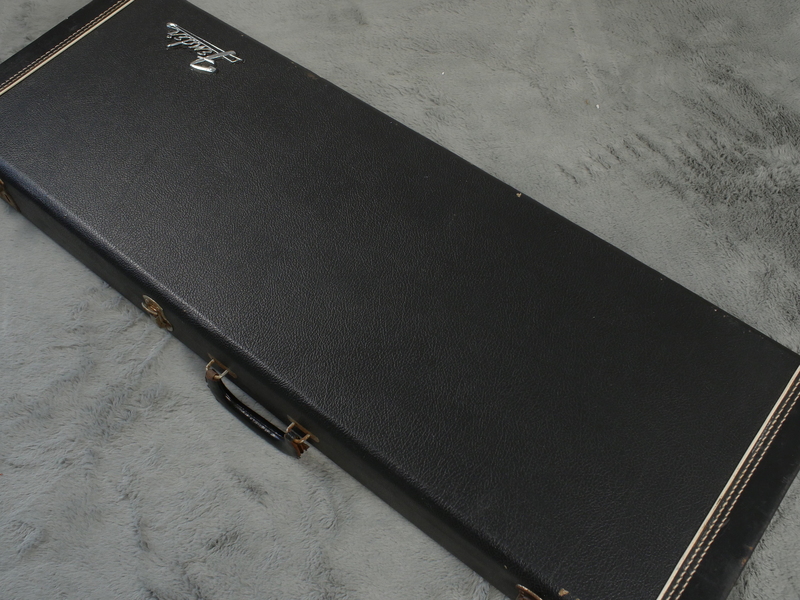 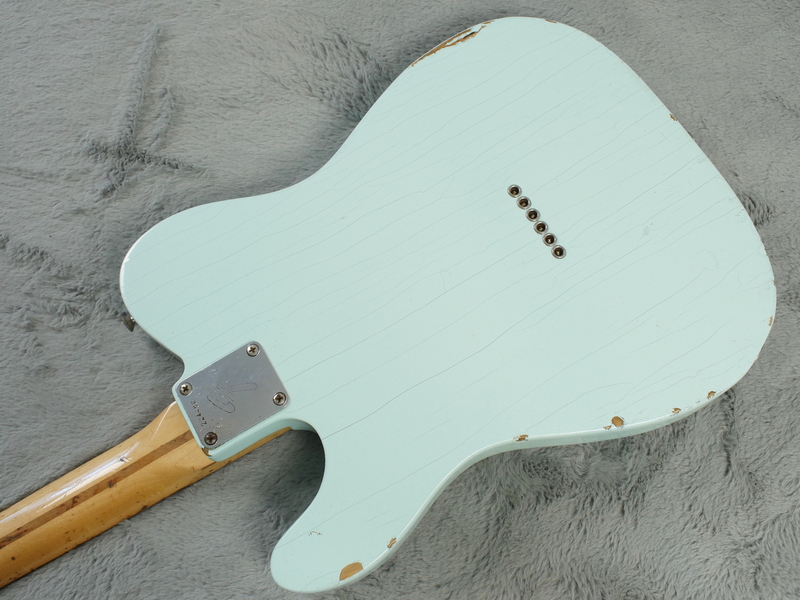 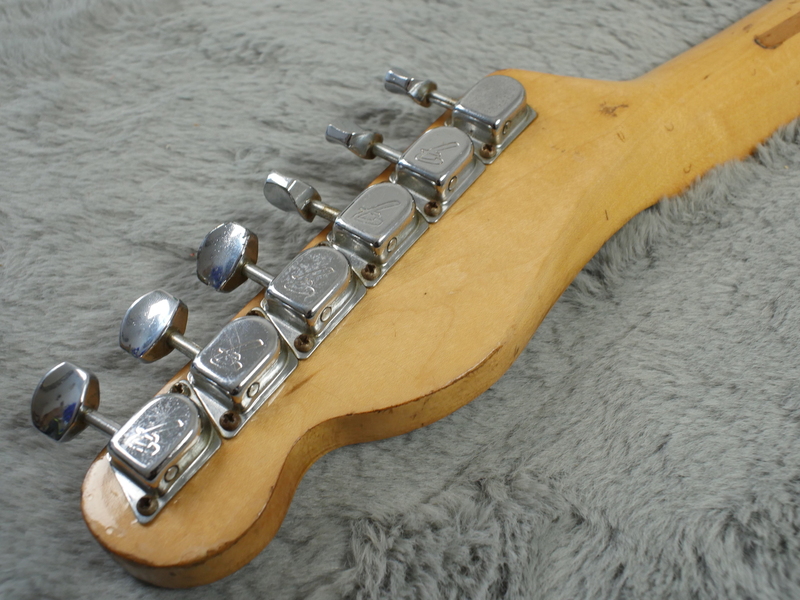 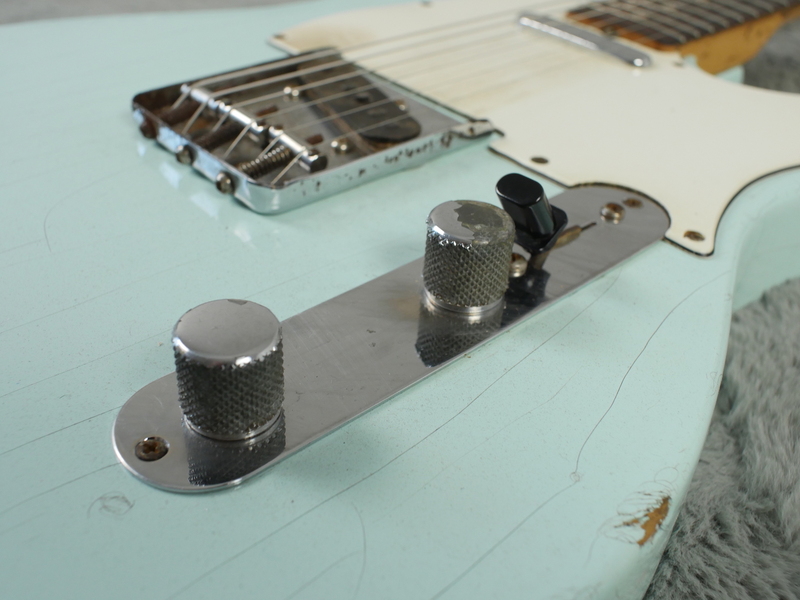 The Tele Thinline we recently had was exactly the same, checking wise. 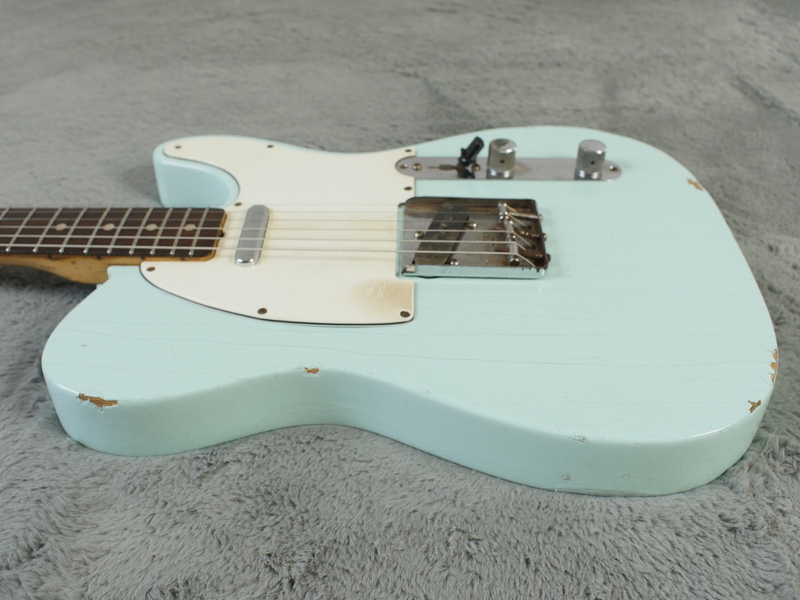 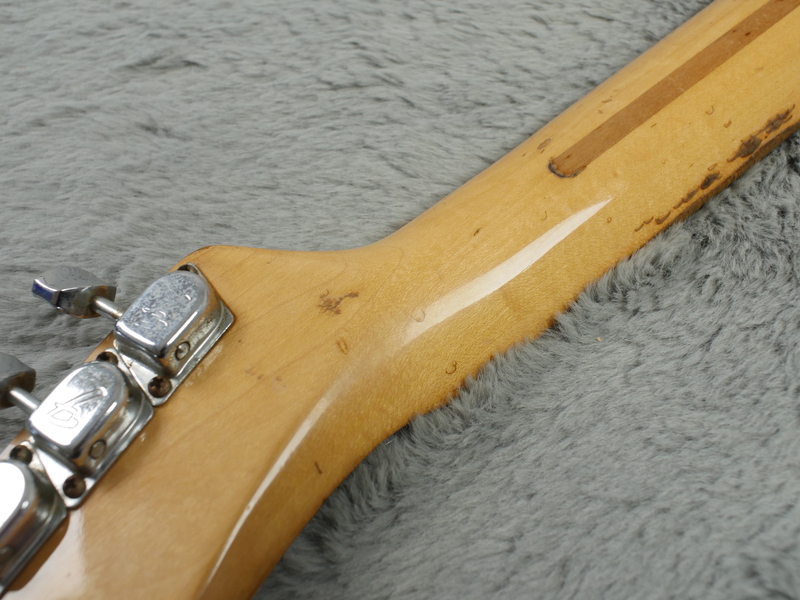 Correct pickguard is the classic late 60’s pearled back type, pots date to 1966, cloth wiring and correct pickups that really do snarl with majestic Tele bite. 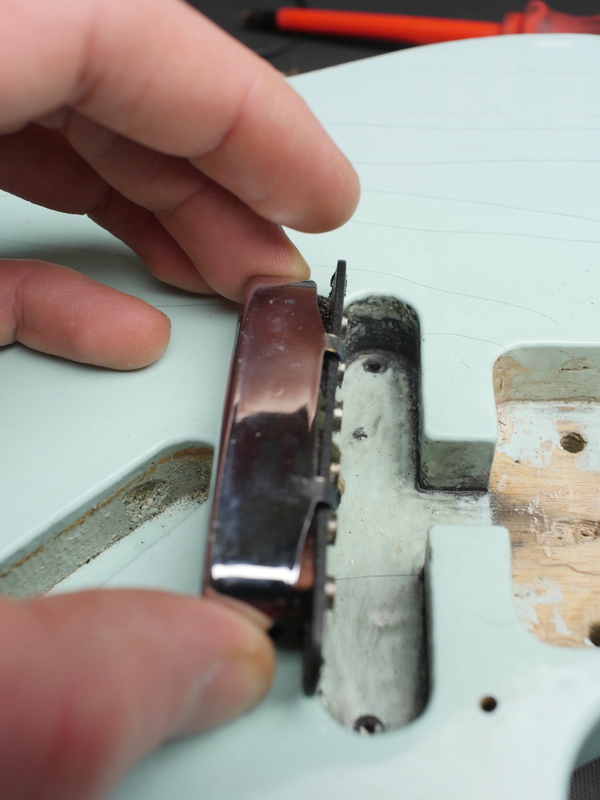 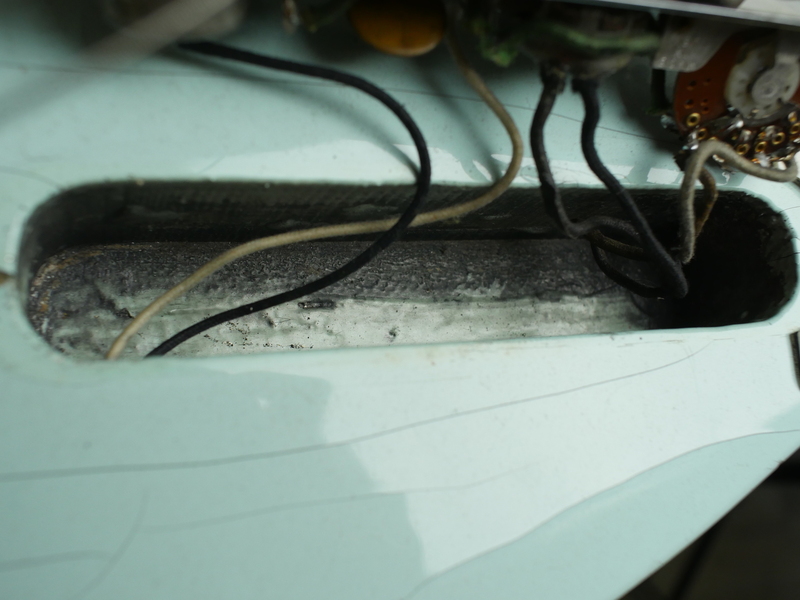 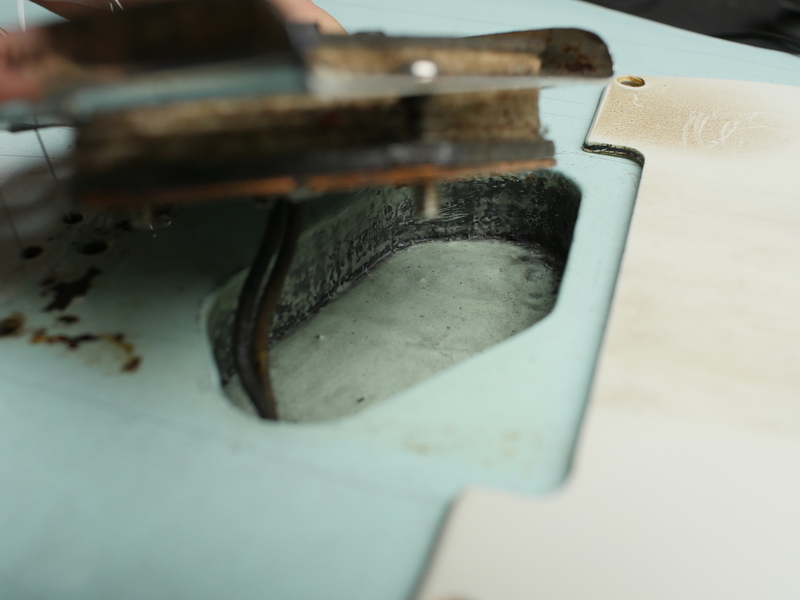 There is evidence of graphite shielding paint inside the pickup cavities and the control cavity. 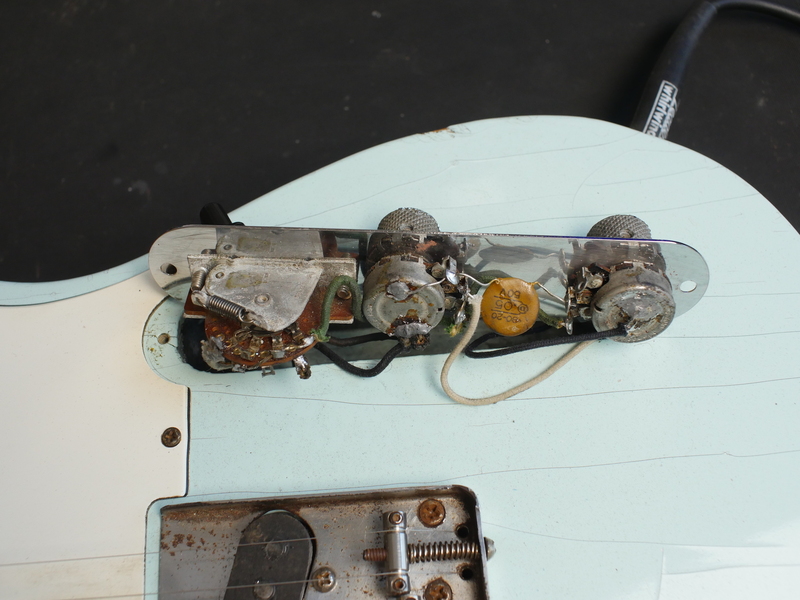 Most of it has been removed but remnants remain, you may get it all off if you persevere but as it is at the moment, it is not too bad. 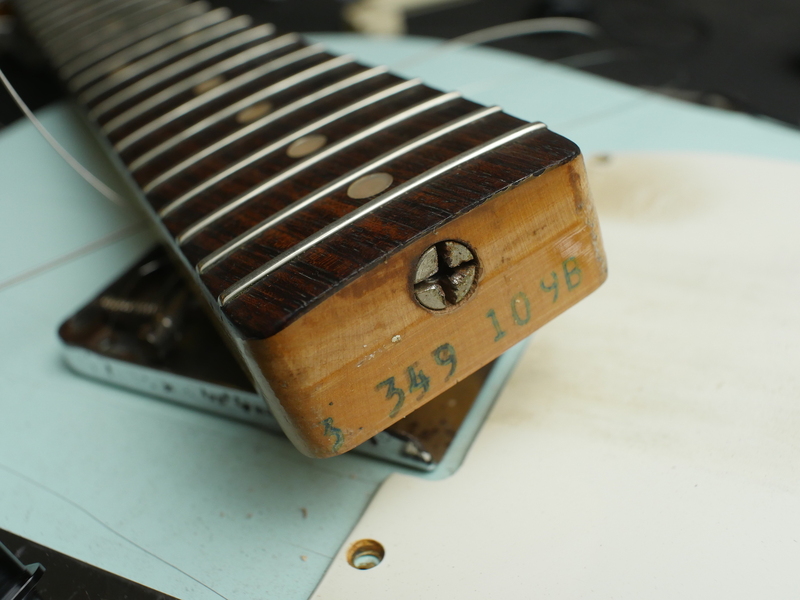 It has also had a refret with slightly larger frets but not overly so. 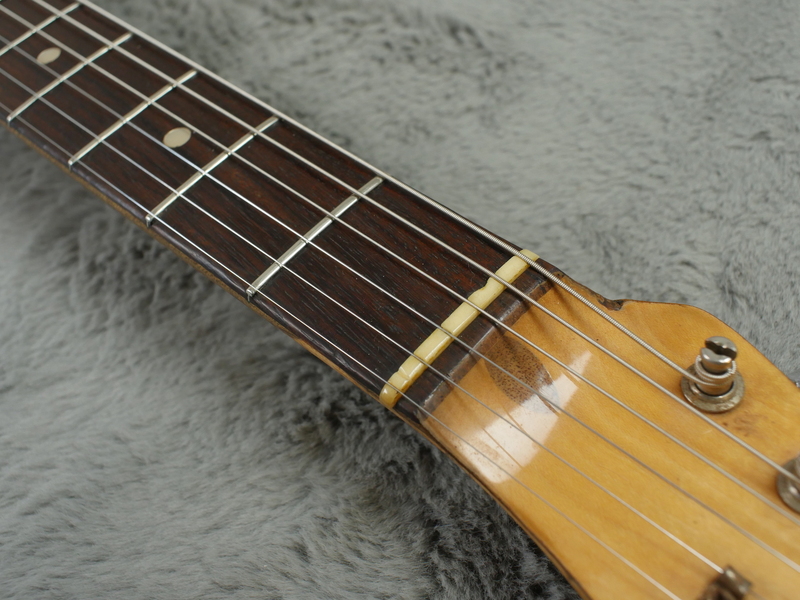 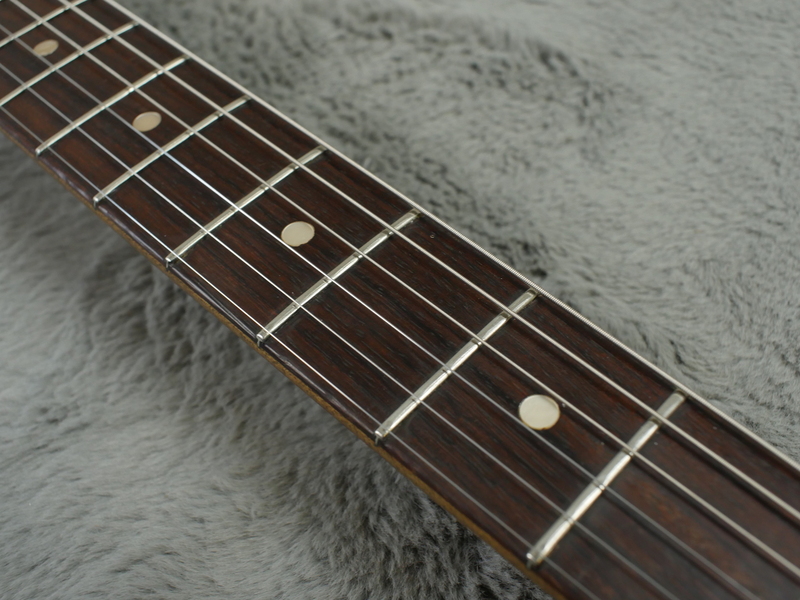 Plays well, low action, good fingerboard profile on its nice, dark rosewood fingerboard and all hardware appears correct.